Liz Clough graduated with a BA honours in Music from the University of York in 1979. She gained a PGCE in teaching children with Special Educational Needs (SLD) and taught in a special school for three years. Following this, Liz took a post graduate diploma in Music Therapy at the Guildhall School of Music and Drama. Liz has given lectures and run training sessions throughout the UK and has presented at national and international conferences. Liz has worked as a Music Therapist for more than 25 years. During this time, in addition to her own continuous clinical practice, she developed and led a successful team of seven Music Therapists, employed by the Local Authority to provide a service to children and young people in Bedfordshire schools. Liz has worked extensively with children and young people with severe emotional and behavioural difficulties, many of whom have additional learning and/or physical disabilities. She has worked with children experiencing domestic violence, trauma, bereavement and abuse. She specialises in the age range 0-14 years and has a special interest in attachment disorders. Liz has provided various types of music therapy; individual sessions, small groups, parent/carer and child sessions. Liz has additional training in counselling skills. Anna Jacobs gained a BMus(Hons) degree from the University of Lancaster in 1993 and following this qualified as a Music Therapist in 1995. She was awarded an MA in Music Therapy in 2000 following research in the field of Music Therapy with Adults with Learning Disabilities and has also undertaken additional training in counselling. Anna has many years experience in working with both children and adults in the fields of Learning Disabilities and Mental Health. Most recently Anna worked for the local authority specialising in providing therapy for children with severe emotional and behavioural difficulties. Anna is also an BAMT approved clinical supervisor. 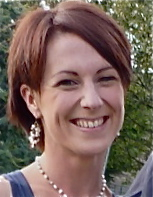 Anna has particular interest in working with adolescents with behavioural difficulties and also in group therapy work. Organisational dynamics make a significant contribution to her approach to all clinical work and the work of other therapists that she supervises. Between 2007 and 2009 she was on the Executive Committee of the British Association for Music Therapy and has spoken at a number of Music Therapy conferences in the UK and also in Norway. Ian Nye graduated from Southampton University in 1995 with a BA(Hons) in Music. He then went on to study Music Therapy at the Guildhall School of Music and Drama in London, qualifying in 1998. Ian worked for several years in Kent in schools for children with severe and profound and multiple learning difficulties. He worked with individuals and groups of children with a range of learning needs and emotional difficulties. In 2006, Ian moved to work in the pupil referral units throughout Bedfordshire. This work expanded so he worked with children with social, emotional and behavioural difficulties in nurture units, special schools and mainstream schools. Through this work, Ian developed a passion for working with children suffering from the effects of domestic violence. More recently, he has developed a number of training courses for educational staff working with children with emotional and behavioural difficulties. Ian spent two years on the committee for the British Society for Music Therapy (a forerunner of the British Association of Music Therapy) and has spoken at conferences throughout England and abroad. Outside music therapy, Ian runs various community music groups including choirs, African drumming circles and a primary school orchestra. Gillian gained her degree in music at the Guildhall School of Music in London in 1980 and followed this with her teacher training qualification. She taught woodwind instruments in schools for several years during which time she became interested in Music Therapy. She returned to the Guildhall School of Music from where she qualified as a Music Therapist in 1990. This was followed by additional training in counselling skills. Gillian has specialised in working with children throughout her career and has supported children with a wide range of special needs in both mainstream and special schools. She works in a psychodynamic way and is particularly interested in the overlap between music therapy and play therapy. She presented a paper on this subject at the World Congress of Music Therapy in Brisbane, Australia in 2005. Gillian is also very interested in supporting music therapy students on their practical placements and has given several talks to prospective students considering a career in music therapy. Outside of music therapy Gillian has a very active musical life, with orchestral clarinet playing, chamber music and singing in choirs. Emma graduated from the University of Glasgow with a BMus(Hons) degree. She followed this with an MA in Music Therapy from Anglia Ruskin University and also has additional training in counselling skills. Emma has worked extensively with children and adults with learning disabilities and social, emotional and behavioural difficulties. 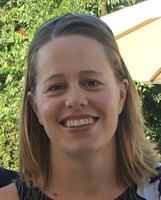 She has a special interest in the field of bereavement and trauma, and completed a dissertation on the impact of bereavement for children with learning disabilities for her MA in Music Therapy. She has run training days on loss and bereavement with a focus on children and young people. Emma has also supervised Music Therapy students as part of their training. Sarah graduated from the University of Nottingham in 2001 with a BA (Hons) in music, studying the flute and piano. She gained her MA in Music Therapy from the Guildhall School of Music & Drama where she completed a research paper on the use of Music Therapy to support young people with communication disorders who have suffered from abuse. Sarah has attended several training sessions on Autistic Spectrum Condition and has worked with young people with ASC for over ten years. Sarah has experience working with clients of varying ages and backgrounds including adults with learning disabilities and dementia, young people with attachment disorders, looked after children, and adolescents with dual diagnoses of learning disabilities and mental health problems. She has also enjoyed working with speech and language therapists to help develop young children’s social communication skills. 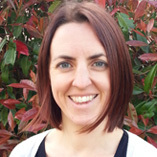 Sarah has a particular interest in family music therapy and runs groups and individual family sessions at nurseries, encouraging the child’s communication and social skills whilst nurturing the bonds between young children and their family members. Sarah believes in a collaborative approach to working with clients including building positive relationships with and between those also working or living with the client. Polly gained her BMus(Hons) in Music from Trinity College of Music in 2005 where she studied ‘cello and saxophone. She completed her Masters in Music Therapy at Guildhall School of Music & Drama. Since qualifying, she has undertaken further training in receptive methods in music therapy, improving healthcare through clinical research, and self-care for the therapist. Polly has presented at conferences and has lectured at Anglia Ruskin University. She became a trustee of the British Association for Music Therapy in 2015 and is the Networks Liaison Officer and an active member of the continuing professional development sub-committee. Polly spent 5 years working with people with dementia in the care home setting. She now works in adult learning disability and adult mental health services as well as with children and young people with emotional & behavioural difficulties, learning and/or physical disabilities. She has experience of working with refugee children, adopted and looked-after children. Outside music therapy, Polly plays with the folk collective Tribe of Tinkers and plays regularly in the Bedfordshire Orchestral Society’s two orchestras. All our Music Therapists are registered with the Health and Care Professions Council and the Information Commissioner’s Office and have DBS clearance.